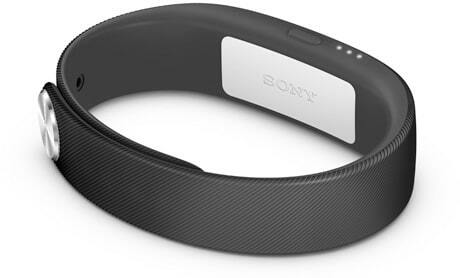 Sony Mobile has launched a smart wristband, two new Xperia smartphones, an Xperia tablet and a range of accessories, all featuring NFC, at MWC 2014. The SWR10 SmartBand is a waterproof wristband that is designed to be worn 24/7 and pairs with the user’s smartphone via NFC or Bluetooth. The Xperia Z2 and Z2 Tablet are both waterproof Android devices and will ship worldwide from March 2014. The 4G LTE Xperia Z2 features a Qualcomm Snapdragon 801 processor and is, Sony says, its “best ever premium waterproof smartphone combining its best display, sound, camera and camcorder experience”. The Z2 Tablet features a 10.1-inch full HD display and is “the world’s slimmest and lightest waterproof tablet”. The Xperia M2, meanwhile, is a mid-range 4G LTE smartphone that features a 4.8-inch qHD display and a 1.2Ghz quad core Snapdragon 400 processor. The Android device is the slimmest 4G phone in its class, Sony says, and will launch globally from April 2014. A number of smartphone and tablet accessories were also announced during the Sony Mobile press conference at Mobile World Congress, Pocket-lint reports, including a keyboard, a speaker that includes a magnetic charging dock, and a remote control that can be used to make phone calls.